Spilsby-based vegetable and waste handling equipment manufacturer Tong Engineering is sponsoring the East Lindsey District Council’s first-ever Business Awards, which will showcase the skills, talents and successes of East Lindsey businesses. The awards ceremony is set to be held in May 2017, with 9 categories to recognise excellence, best practice and innovation in the district, whilst providing a benchmark and inspiration for all businesses in the future. With engineering roots dating back to 1930, Tong Engineering has been manufacturing equipment for UK and export markets from its Spilsby base for over 85 years. Edward Tong, Managing Director at Tong Engineering said “We are very pleased to be involved in this new local initiative. Tong sponsoring these local awards is a great way for us to get involved in the local business community, as well as having the opportunity to meet the many talented and passionate businesses owners in our area who are achieving in their industries”. As a long established Lincolnshire-based manufacturer and exporter within the East Lindsey district, Tong Engineering will also be entering the business awards in the relevant categories for manufacture and export. 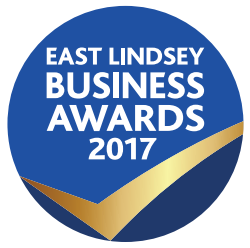 Alongside the Business Awards, East Lindsey District Council is organising their ‘Celebrating Business Excellence in East Lindsey’ Expo. The Expo has been conceived to raise the profile of East Lindsey businesses within the local community and beyond. It will provide a platform for the 27 finalists and all the sponsors to showcase their products/services and highlight possible employment and training opportunities. The Expo will also encourage the spirit of entrepreneurship and engage with local schools to forge stronger links between education and business. The Expo will be open from 10am to 3pm on Friday, 19th May 2017. More information on the Expo can be found here: http://www.e-lindsey.gov.uk/article/5162/ELBA-Expo.